Although primarily a mental health disorder, anorexia nervosa (AN) has many physical consequences. Among them, the consequences on kidney function are often underestimated. We evaluated renal function in adolescent AN inpatients and investigated the correlation between the GFR and intrinsic patient characteristics. A single-center retrospective study was conducted on 51 patients hospitalized for the restrictive type of AN in 2013. Data were divided into: (1) medical history of AN; (2) growth parameters and vital signs upon admission; and (3) blood tests. The glomerular filtration rate (GFR) was calculated using the Cockroft–Gault, MAYO Clinical Quadratic (MCQ), Chronic Kidney Disease Epidemiology Collaboration (CKD-EPI), the Modification of Diet in Renal Disease (MDRD), and Schwartz equations. The calculated percentages of patients with a GFR below 90 mL/min/1.73 m2 according to the different equations were as follows: Cockroft–Gault, 45%; MDRD, 28%; CKD-EPI, 14%; MCQ, 12%, and Schwartz, 4%. There was a strong association between the body mass index (BMI) and the GFR according to all equations (p < 0.0001). The lowest heart rate was significantly associated with a reduced GFR according to the Cockroft–Gault equation (p = 0.03). The GFR values did not differ significantly after rehydration. Clinicians should evaluate AN patients for renal complications, especially when the BMI and heart rate are very low. Dehydration was not solely responsible for renal impairment. Level III, single-center retrospective cohort study. 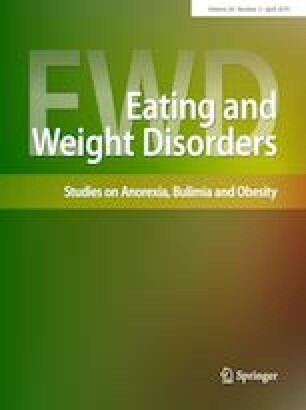 This article has never been published, but was presented as a poster at the International Conference for Eating Disorders (ICED) 2015 in Boston, MA, USA. This retrospective study was approved by the hospital ethics committee (number 3891 2014/05/23). For retrospective studies informed consent is not required. where SCr is serum creatinine (mg/dL), k is 0.7 for females and 0.9 for males, a is −0.329 for females and −0.411 for males, min indicates the minimum of SCr/k or 1, and max indicates the maximum of SCr/k or 1.